← George goes to Neptune – out now! The Daniel Craig era comes to an immensely satisfying culmination in Spectre, the latest in the seemingly indestructible James Bond franchise. There are direct, spoiler-laden references to immediate predecessor Skyfall (which the filmmakers assume you have seen), and beyond that a drawing together of threads contained within Casino Royale onwards, with previous villains and plots revealed as the work of one massive and hideously sinister organisation. No prizes for guessing what it’s called. In fact, no prizes for predicting the plot twists either, for in contrast to Skyfall and Casino Royale, Spectre relies more on the conventional Bond formula. That is not necessarily a bad thing as the story is still strong, with everything one would expect from a first-rate Bond picture. As Colin Firth observed in Kingsman: The Secret Service, the recent Bonds have got a bit serious, so “give me a far-fetched theatrical plot”. The Mexico City prologue is worth the price of admission alone. After the familiar gun barrel (back at the start of the movie where it belongs), director Sam Mendes opens with a stunning, Touch of Evil style long take, following Bond through the streets during the Day of the Dead festival, inside a building, into a bedroom with inevitable female companion, then outside for a rooftop assassination. A melee of exploding buildings, foot chases and helicopters looping the loop ensues, making this one of the most memorable beginnings to any Bond. Apparently it was also the most elaborate, employing thousands of extras and an army of make-up artists, stunt men and so on. The fact that Spectre is also the most expensive Bond film ever made (and also incidentally contains the single largest real explosion ever put on film) shows in every glamorous frame, with dazzling use of locations including the afore-mentioned Mexico City, London, Rome, Austrian mountains, Tangier and others. The action sequences are tremendous. Highlights include a car chase through the streets of Rome, an elaborate plane/car chase in snowy Austrian mountain roads and a fantastic train fight scene that recalls From Russia with Love. Speaking of early Bonds, the film this most reminded me of is You Only Live Twice, for reasons that should be obvious from the title. Performance wise Craig is tremendous as ever, cementing his reputation as Best-Bond-since-Connery. Monica Bellucci’s role amounts to little more than a cameo, but Lea Seydoux’s Madeleine Swann ranks amongst the best Bond girls. Dave Bautista‘s Mr Hinx is a suitably imposing henchman (an early moment of nastiness has been somewhat censored in the UK to meet the demands of the 12A certificate), whilst Christoph Waltz is tremendous as uber-villain Franz Oberhauser. Returning Skyfall alumni Ralph Fiennes, Ben Whishaw, Naomie Harris and Rory Kinnear all reprise their roles memorably (as M, Q, Moneypenny and Tanner respectively). Oh – and Spectre also contains the most sinister meeting this side of an Illuminati or 33rd Degree Freemasonry AGM. It’s great to see Bond get back to full-on theatrics again; which means yes the villain does gloatingly tell Bond his master plan in monologue whilst he has him at his mercy, instead of simply putting a bullet in his skull. That said, the plot does contain contemporary concerns. Post Snowden relevance manifests itself in a subplot involving the potential mothballing of the double-0 section. M spars with young upstart C (Andrew Scott), who seems determined to replace M and his antiquated agents with Orwellian surveillance. However, in spite of these flirtations with serious issues, the film is not above knowingly passe set pieces involving ticking time-bombs and the like, and it’s all the better for it. On a technical level everything looks and sounds tremendous, with the production design including a pleasingly retro Bond baddie’s base. Sam Smith’s title song Writing on the Wall has provoked snobby reaction in certain quarters, but I think it works rather well. The opening titles feature snippets of previous Craig movies, much as On Her Majesty’s Secret Service and Goldfinger featured clips of earlier Connery instalments, again adding to the feeling of this film being a summary of the Craig era thus far. All of which begs the question, which James Bond will return? 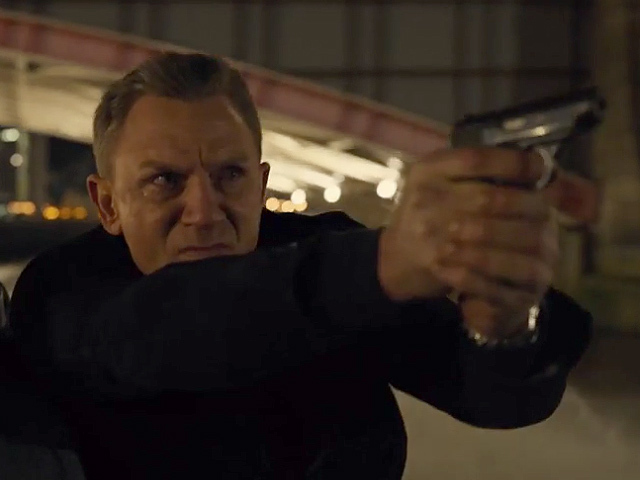 Daniel Craig has recently been quite vocal about his disdain for the character, indicating rather clearly that he’d like to be done with the franchise. If that proves to be true, as opposed to mere irritation at endless press junkets, then Spectre is a very high note to go out on.